Ireland had the fourth largest decline in road deaths amongst the EU28 countries between 2016 and 2017. IRELAND HAS IMPROVED from fifth to fourth in the EU’s road death rankings. The 2017 Road Safety Performance Index by the European Transport Safety Council (ETSC) was published today. Estonia leads the ranking with a 32% reduction in the number of road deaths between 2016 and 2017. Ireland had the fourth largest decline in road deaths amongst the EU28 countries between 2016 and 2017; a total of 157 people lost their lives on Ireland’s roads in 2017 compared to 186 in 2016. In 2017, there was a decline in road deaths across all road user groups in Ireland, except cyclists, when compared to 2016. In 2016, Ireland ranked fifth amongst EU countries in terms of road safety. Deaths on Irish roads have decreased by 26% since 2010. 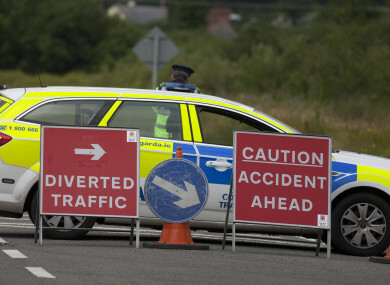 The ETSC report cites improved legislation, such as new drug driving laws, greater traffic law enforcement activities and road safety campaigns as having played a part in reducing the number of deaths on Irish roads. “The implementation of improved legislation, such as new drug driving laws, greater traffic law enforcement activities and road safety campaigns played a part in reducing the number of road deaths. “As Minister for Transport I am committed to instigating legislation and regulations that will make Ireland’s roads safer. Recent initiatives and legislation have been key to reducing death and serious injuries on our roads. The bill I am currently taking through the Oireachtas will build on these safety initiatives by ensuring that every person caught driving above the current alcohol limit will receive a disqualification. However, this bill is being seriously jeopardised by a very small cohort of politicians who are engaged in the most cynical form of filibustering. This is despite it receiving the full support of Government, most opposition parties, road safety advocates and the general public. The ETSC says EU governments need strong political will, urgent measures and substantial investments in safe infrastructure to reduce the 500 deaths that occur on EU roads every week. Email “Ireland was the fourth safest EU country for road deaths last year”. Feedback on “Ireland was the fourth safest EU country for road deaths last year”.